A Brief Explanation of the Grammatical Rank Scale. In the grammatical rank scale (as stated above), morphemes come together to form words; words come together to form phrases/groups; phrases come together to form clauses and clauses come together to form sentences. Hence, making the sentence the highest grammatical unit. As we progress, I will tell you why I said there are three types of sentence. A simple sentence is a sentence that is made up of one main/independent/alpha clause (a clause that can stand on its own and still make a complete sense). A simple sentence expresses only one idea or thought. 2. He is going to school with his mum. 3. The guy is talking. A sentence can be lengthy and still be a simple sentence provided it expresses a single thought or idea. 1. The gang that snatched the minister's car has been nabbed. 2. The boy who was wearing the red shirt came late. The above sentences are simple sentences regardless of their length because they express an idea or thought. A complex sentence is a sentence that has at least one main/independent clause and one subordinate/dependent clause. That is to say a complex sentence can have more than one main and subordinate clauses. 1. When I was an undergraduate, we were taught by Nigerians and professors. You can also have the main clause coming before the subordinate clause. The party chieftains returned to rest at 1:00am as their subordinate were left to collate the results. A complex sentence is also made up of two or more subordinate and main clauses. When I was a child, I never took my English lessons and assignments seriously because I was oblivious of the benefits of studying hard. The example above is what many will refer to as 'complex compound sentence' because it comprises two subordinate clauses ('when I was a child' and 'because I was oblivious of the benefits of studying hard') and two main clauses ('I never took my English lessons and 'I never took my assignments seriously'). However, I want to tell you that this sentence is still a complex sentence irrespective of the number of subordinate and main clauses. A complex sentence is complex because you have two or more clauses hat are not of equal grammatical status. This is a sentence that is made up of two or more main clauses. A compound sentence comprises two or more main/independent clauses which are linked by coordinating conjunctions. We use the coordinating conjunctions (and, or, but) to link these clauses. The woman returned from the market and cooked lunched for her children. 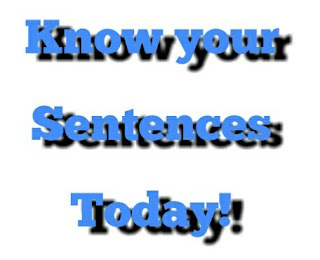 A compound sentence can have up to three clauses or more. The woman returned from the market, cooked lunch for her children and went straight to bed. 1. The woman returned from the market. 2. ...cooked lunch for her children. 3. ...went straight to bed. You can have all the coordinators in a compound sentence. Tammy and Rose love themselves but they always fight or abuse each other. In the sentence above, you have the three coordinating conjunctions in English (and, or, but) linking the main clauses. In sum, it is important to note that it is not the number of words that make a sentence simple, complex or compound. Hope this tutorial is helpful. Thanks for reading!